When in doubt, I always reach for my fool proof basics. 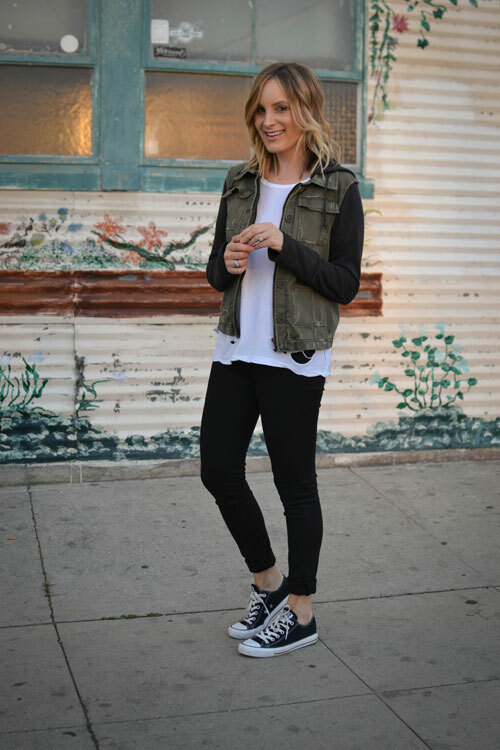 My favorite distressed white tee (seriously, I can't live without it), jeans, chucks and a military jacket. In fact, it's safe to say that some variation of this outfit this has been my signature look as of late. Happy Monday! so simply, but so gorgeous! Love the outfit and love your hair! This looks so cute and comfy!